Fatima Jenesis Rosario is currently in her 2nd semester of study in the Masteral Program in Political Science at De La Salle University- Manila. Last April 2014, she graduated with a Bachelors Degree in Political Science, focusing on Public Policy and Volunteerism. Ever since, Ms. Fatima volunteered in youth involvement programs under different organizations (national and local), she has been organising events and programs to help and educate the youth and the masses. Ms. Fatima is a member of a number of sectoral and student organizations around the country including the Kabataan Party List, League of Filipino Students, Anakbayan, Southern Tagalog Serve the People Corps and Great Thinkers Society (DLSU-D). 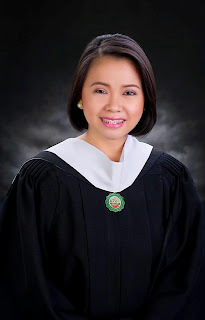 She finished her internship in the DENR-CENRO in Trece Martires, Cavite. She did her undergraduate thesis on her last year in DLSU-D focusing on local policy review and was admitted in an international conference last January 2014 in South Korea. For quite some time now, despite her being a Christian she has been in love with ‘Islamic preferences’. In the short term, she looks forward to published her working research for her dissertation in DLSU focusing on the ‘Halal’ industry in the Philippines and to be able to interact in a Muslim community outside the country.